Mowing is the best thing you can do for your lawn. It keeps it looking good, it keeps it healthy, and it changes the entire appearance of your home. At A Great Choice Lawn Care & Landscaping, we understand the importance of keeping your lawn maintained and looking great. We also understand what a time-consuming process it is to mow the lawn whether you have a small patch of grass or a large piece of property. Your busy life doesn’t leave much time for things like mowing, and that’s why so many lawns look less than perfect so often. 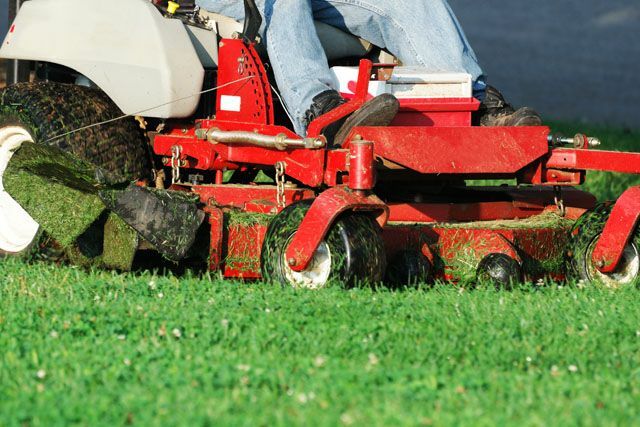 During the summer, mowing is a weekly ordeal you simply don’t have the time to take on. 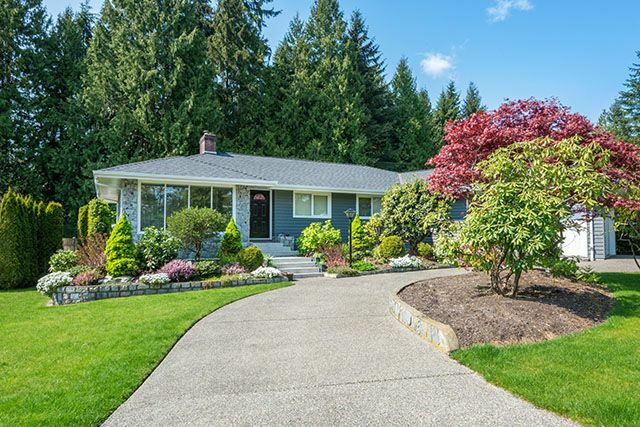 Work, kids, school, events, summer vacations, and what little time you have to relax don’t provide you with the time you need to keep your lawn looking good. Stop stressing yourself out finding time to mow the lawn or causing your neighbors to give you the evil eye because your lawn hasn’t been mowed in weeks and call us. Our landscape experts know a thing or two about mowing the lawn, and our business is to provide you with this service so you can have more time to enjoy the rest of your life. We know not every week is created equal, which is why we offer numerous mowing services. We aren’t going to tell you when you need us to come mow your lawn. You’re going to set the schedule, and we’re going to work off that. Whether you require weekly mowing or want us to come every other week, we’ll take your lawn and care for it to your specifications. You’re always welcome to call and change the schedule as needed. We don’t just mow your lawn and leave. We stick around to make sure your driveway, walkways, decks, patios, and porches are clean before we go. We blow them all off to get rid of the evidence your lawn was freshly mowed so you come home to a clean lawn and home. You’re always free to ask us to add in weed control services or lawn fertilization when it’s necessary, and our team will set aside the time to add that to the weekly schedule. Just let us know if you have small kids napping at a certain time of the day, too, and we’ll mow around that every time we visit. Hiring a mowing service might sound a bit over-the-top for some, but the benefits far outweigh the downfalls of not mowing your own lawn. There’s nothing wrong with wanting to find more quality time to spend with your family. You work long hours and have very little time to spend with the kids and spouse, which means it’s time to let someone else provide you with a bit more much-needed quality time with the people you love. We also pride ourselves on providing a perfect cut every time, because we don’t get too tired to want to finish the job or rush to get to the next thing on our to-do list. When A Great Choice Lawn Care & Landscaping is working on your lawn, you are our only priority. We get the job done right every time. Call our offices for a free estimate at (607) 729-3451 today. We can offer you a quote based on the size of your lawn, the amount of lawn that needs mowing, and the other services you’d like to add. We’ll come up with a plan to come mow as often as you’d like with the contingency to come back as needed depending on the weather and your lawn. You can also fill out our free online estimate tool now and receive an instant quote. What’s more important to you? Is it spending more time enjoying life, or storing large lawn equipment in your garage and finding time you don’t have to mow a lawn someone else can handle for you?